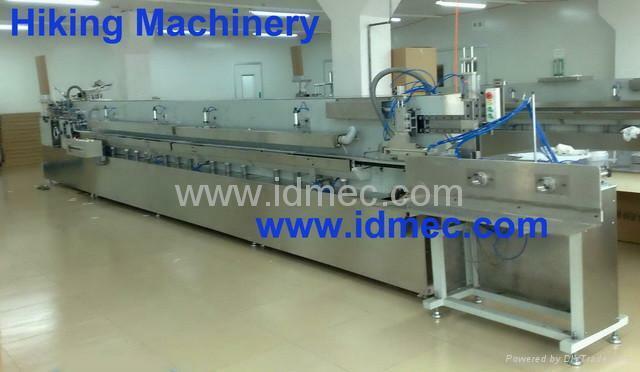 This machine is our new generation product. It is similar with Italy or Sweden machine. It has 3 part, cotton swab making, drying and packaging. All these 3 steps are done in one line, controlled by PLC. And the final packaging can be different type also. b- 800-1000 ones per minute for bamboo sticks, scrap rate is less than 1%. 3- Drying power is 14KW. 5- Plastic stick length: 2.3mm-2.4mm, round, weight is more than 15g, length is around 72mm, error is less than 1mm.